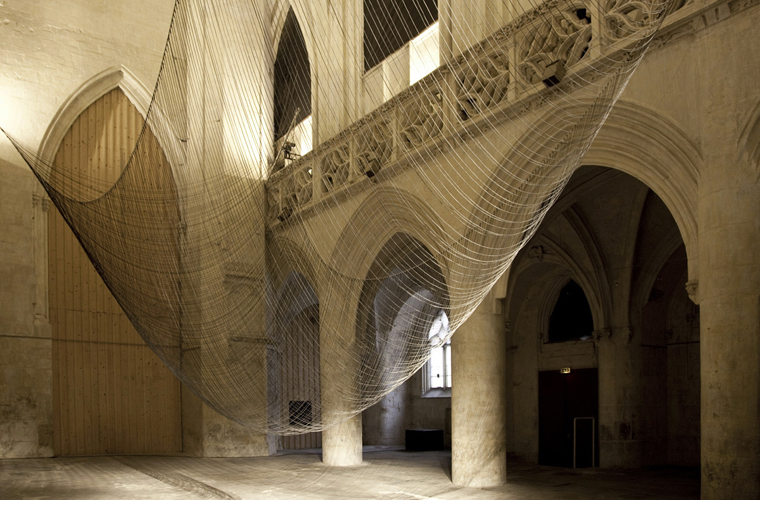 Created for the Saint Sauveur chapel in Caen, Caten is a levitating sculpture, determined by gravity and guiding the evolution of a sound composition. 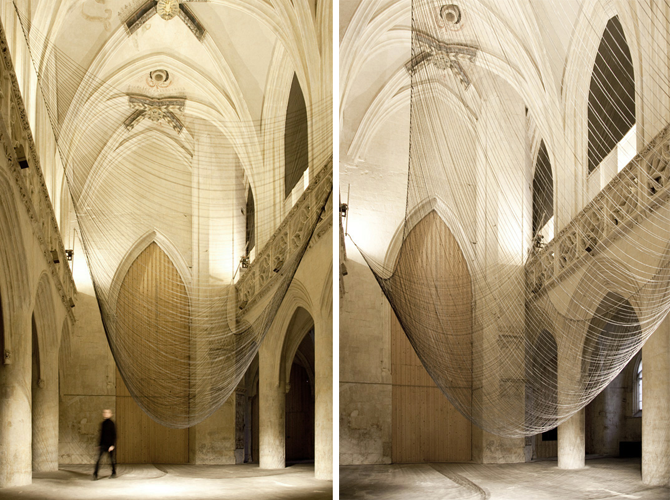 300 fine wires suspended from two ropes, connected themselves at each end to a slowly rotating arm, form an evanescent surface which interacts with the architecture. 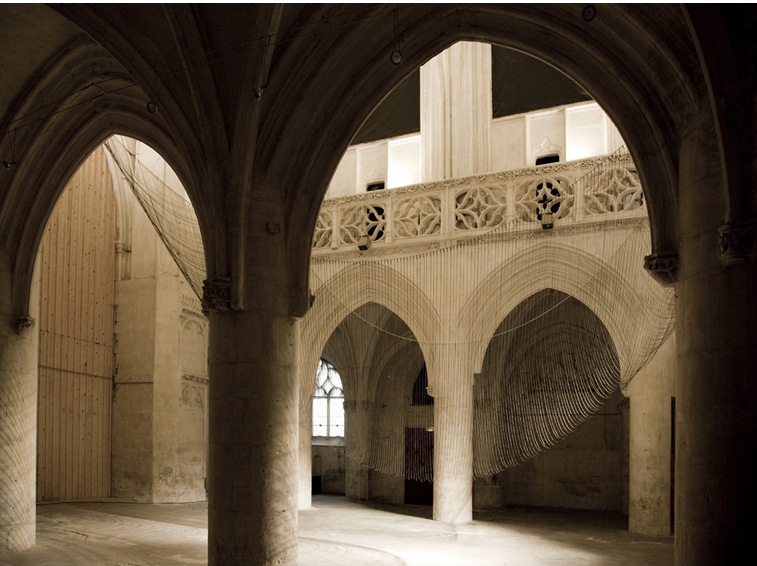 By a symbolic mirror effect, the curves of the wires, created by the gravitational force, reflect the shapes of the church arches. Caten opposes the ephemeral to the eternal, the movement to the static, and produce a tension between the lightness and the millenary stability of the space. The sound composition is inspired by the medieval solmisation prayers, especially the first verse of "Ut Queant Laxis", also known as the "hymn to St John the Baptist", used in the eleventh century to determine the names of the notes of the scale used in latin countries. At each turn, the engines emit one of the first 4 notes of the scale (Ut, Re, Mi, Fa), creating a sequence of intervals, constantly reconfigured. Low frequencies resonate in the space and emphazise the transcendental character of a place once dedicated to faith. The name is derived from the term catenary, which describes the plane curve formed by a rope hanging between two points.